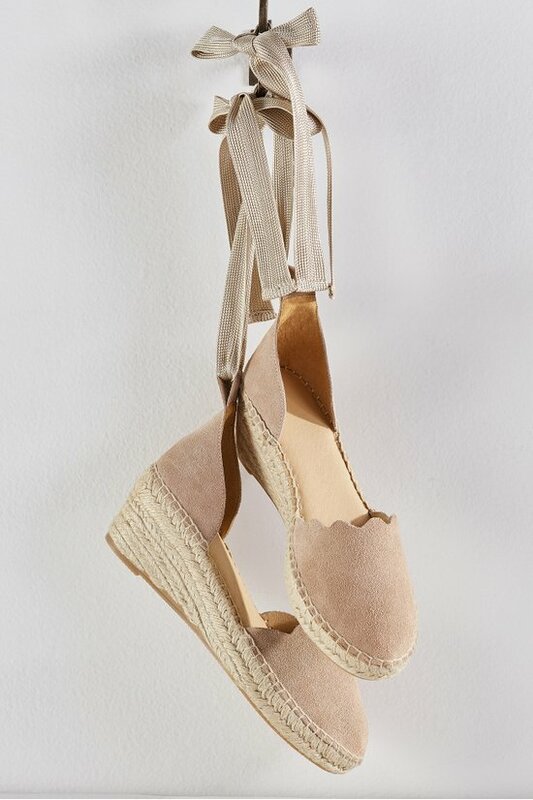 Pretty scalloped edges accent these espadrille platform wedges, handcrafted in the softest suede with a round toe, cool leather lining, padded footbed and rubber sole. Long twill laces wrap the ankle or calf. 2-1/4" heel.